For the past 3.5 weeks I have felt like a stalker in my own home. Finally tonight after a fantastic day at the U of T Scarborough Campus Farmer's Market, I could take it no more, it was time I got better acquainted with my 'stalkee'. I never thought you could become obsessed with an inanimate object, but on March 12th when I completed this post I realized that having something that I knew was going to be ever so tasty sitting in my cupboard for 4 weeks before I could indulge was perhaps going to be a personal challenge. Every few days I would look in the cupboard and evaluate it's chocolatey brown smoothness. I made the biggest mistake last Sunday when I decided it was time to smell it and determine if it was ready to jar. If only there were a way to capture and share with you the wonderful smell, you would share my obsession. I am not a coffee drinker but I have always loved the smell of coffee as it brews. Well combine that with fresh vanilla and bourbon and it is enough to make a girl go weak in the knees. I started by washing a couple of decorative jars, because even though I am intrinsically a selfish person :), I knew that this was a delight that I would have to share with others. 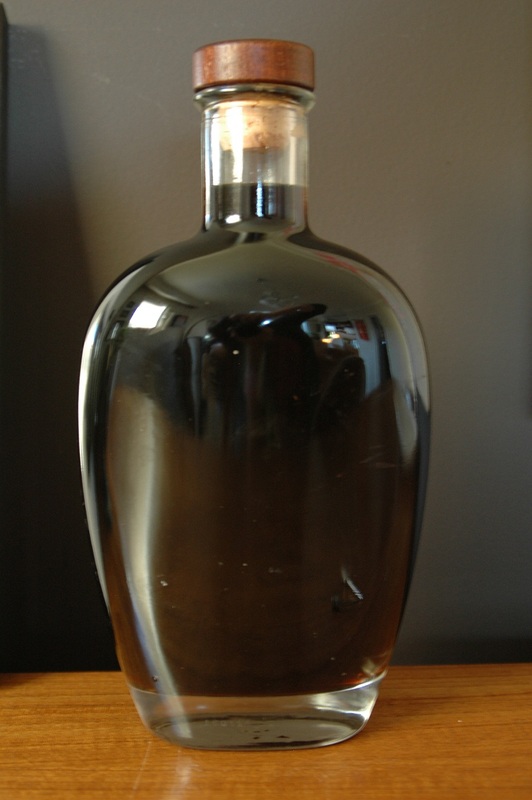 The first person to invite me over for dinner will get a lovely jar of this Coffee Liquor, so get your invites out quick! 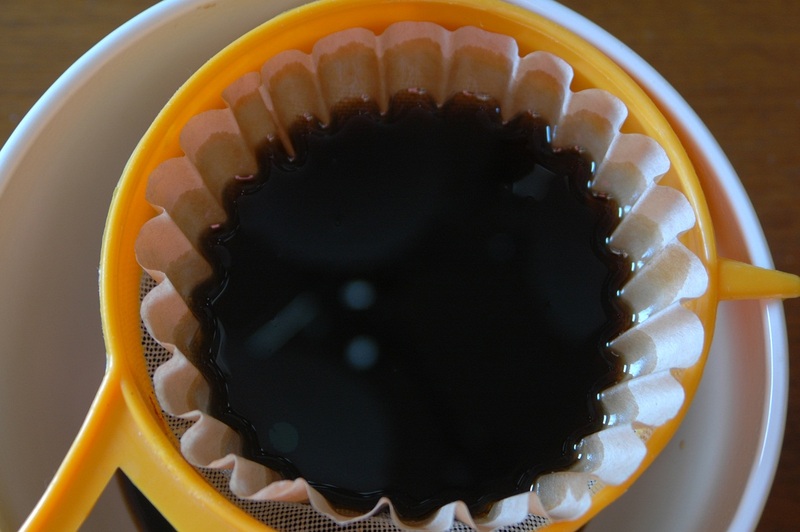 Then I placed a moist coffee filter (I used a moist coffee filter because I didn't want any of this liquid of the Gods to get absorbed unnecessarily) in a strainer and strained the liquid and removed the vanilla pods, then using another clean moist coffee filter, I strained it again. The final step is simple. Using a funnel I transfered the liquid into the decorative jars and sealed them up and put them in the cupboard. Well actually, I lie...that was the second to last step. With my official taste tester out of town, I felt that I have no choice except to sample a small glass to ensure quality. I put a smal dollop of fresh cream in a glass with the coffee liquor and drank it back. My oh my...it was worth the wait.